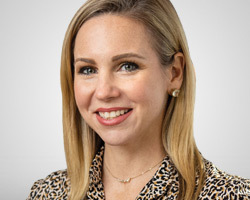 Lindsey Bell is an investment strategist at CFRA. Along with the chief investment officer, she determines CFRA's asset class allocation and equity sector level recommendations. She participates in projecting the firm's 12-month S&P 500 price target. Her market observations and sector opinions are expressed in regular writings on CFRA's MarketScope Advisor (MSA) platform. She oversees CFRA's portfolio management committee which manages four equity model portfolios. Finally, she also assists in authoring monthly European and Asian Investment Policy Committee (IPC) notes, also available on MSA. She is a frequent guest on Fox Business, CNBC, Bloomberg, and Yahoo! Finance.